SCARCE now offers a new collection for hard-to-recycle items. 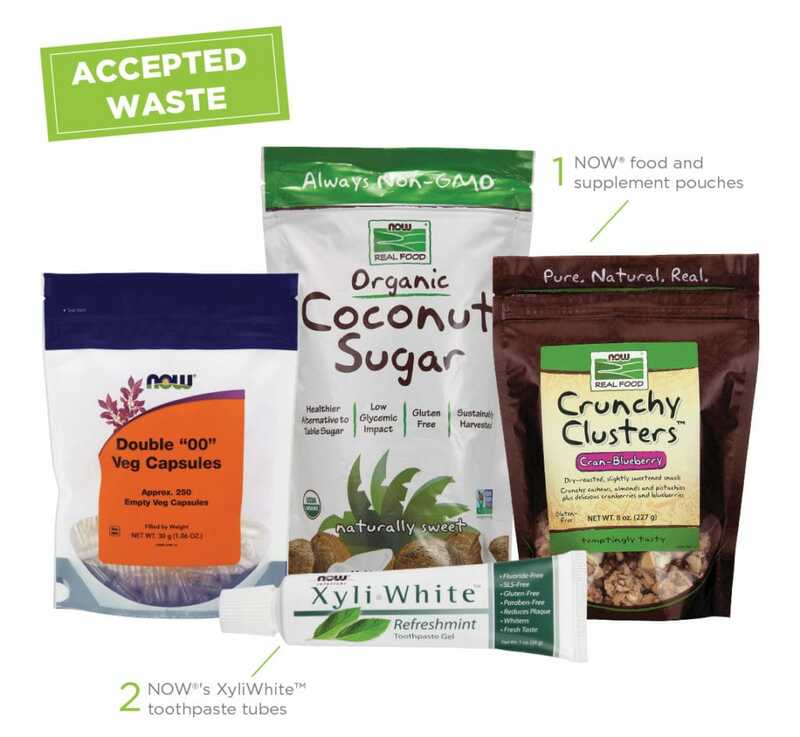 As part of a new Terracycle brigade, we now accept EMPTY Now Foods brand flexible packaging and Now Foods XyliWhite toothpaste tubes – check out examples of acceptable waste in the image below. Other brands or packaging are NOT accepted.